From the 1st of February, any person who moves in Uber, Lyft, Juno or Via the city of New York must pay more for their transfers, due to the implementation of a series of new rules. Passengers must now pay a new congestion surcharge for travel into Manhattan south of 96th Street. The position involves $2.75 extra dollars added to each trip or $0.75 dollar if it is a shared journey, amounts that will be allocated to the Metropolitan Transportation Authority. In both, the trips that begin in New York and finish off their five boroughs will also have additional costs, because the new rules stipulate that drivers should be compensated for return without passengers. It is not yet clear the exact amount to be paid by the users for the “Charge Out of the City”. The rate hikes have also been introduced in response to the wage costs higher, following the new measures that modified the payment structure for drivers of ride sharing. The changes were implemented by the Taxi and Limousine Commission of the city and ensure the more than 70,000 drivers of these systems a minimum wage of $17.22 $ per hour after expenses ($27.86 $ before expenses), although Lyft and Juno have been claimed by the calculation system. 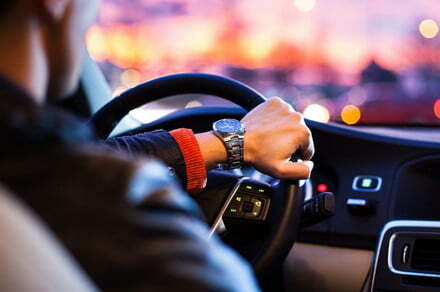 The new rates of payment arise after a campaign that spanned two years of the Guild of Independent Drivers (IDG, for its acronym in English) of New York, which contends that until now the drivers of shared ride trips have been “struggling to survive” to $11.90 dollars per hour. The new floor payment will increase the annual pay of the drivers in more than $9,600 dollars, said the guild. Uber has not specified how much it will increase the rates, and only said that it could increase prices “to conform to the implications of this new rule”. The company said it is “working hard” to ensure that the trips continue to be “the most affordable possible”, although at the same time held that it “fully supports the spirit of this rule,” which provides drivers with a better payment. However, according to Bloomberg, several drivers of Uber in the city of New York could face other challenges, because “some offers of bonus payment may no longer be available”. In addition, starting this spring borealel premium service UberBlack, which pays a higher rate than their service-based UberX, will be restricted to those drivers with a rating of customer greater than or equal to 4.85 points (out of a total of 5).